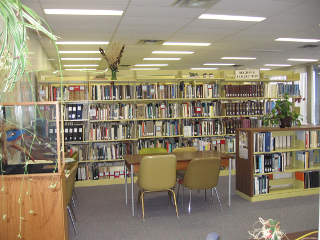 The Regional Collection is comprised of material relating to local, regional and northern Ontario issues and is divided into two parts based on geographical area. Northwestern Ontario - Districts of Thunder Bay, Rainy River and Kenora. This collection is comprehensive in its scope and contains material relating to local history, municipal government, forestry, geological surveys, public health issues, parks and tourism, native peoples, Aboriginal treaties, environmental assessments, mining and exploration, and a thorough coverage of all other subject areas of possible research interest. Special features include many rare publications from the early days of Port Arthur and Fort William. Remainder of Northern Ontario - Districts of Cochrane, Algoma, Sudbury, Timiskaming, Nipissing, Manitoulin and Parry Sound. This part of the Regional Collection is less comprehensive in its scope than the northwestern Ontario portion. The major subject areas represented in the collection include economic development, labour-management relations, resource conflict mechanisms, health care, local government, native peoples, industrial planning, transportation, social service delivery, ecology and resource management.